Mister Heavenly have added a Chicago gig at Subterranean on November 13th. Tickets go on sale tomorrow (9/23), at noon CST. Yakuza, Batillus, and The Swan King are playing Subterranean on November 23rd. Scattered Trees, A Lull, and Urbanites are playing Lincoln Hall on Black Friday (11/25). Tickets go on sale tomorrow (9/23), at noon CST. 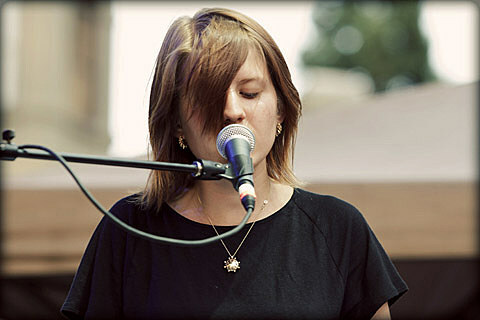 Marketa Irglova (of The Swell Season) is releasing a solo album, and heading out on tour in support of it. She’ll play Lincoln Hall on November 26th. Tickets go on sale tomorrow (9/23), at noon CST. The String Cheese Incident are playing December 8th, 9th, and 10th at Aragon Ballroom. Tickets go on sale for all three shows tomorrow (9/23), at 11AM. As mentioned many times, Wilco are playing the Civic Opera House on December 24th. I spoke too soon on JAM Productions not having their own pre-sale. If you missed the band’s own yesterday, tomorrow (9/23) from 10AM to 10PM CST you can still have an early jump. Password: imight. General tickets go on sale this Saturday (9/24), at 10AM CST.